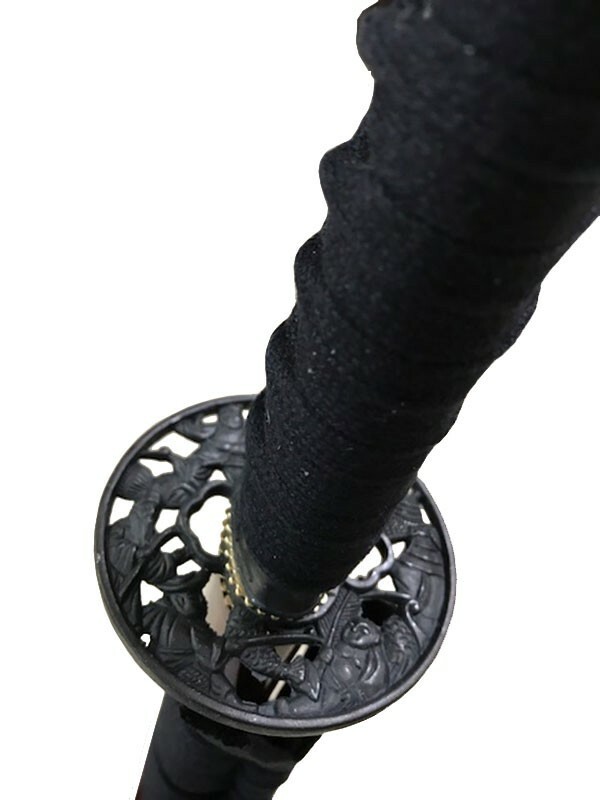 The katana blade has been hand made with carbon steel. 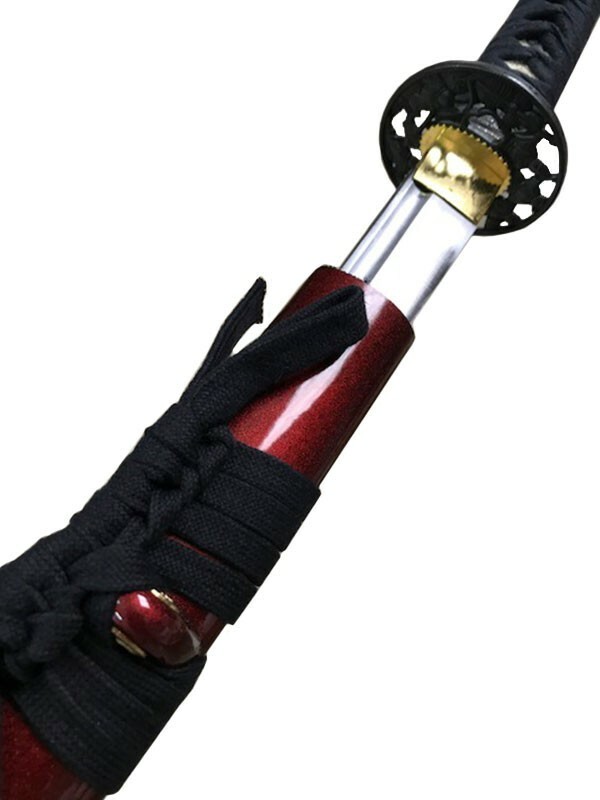 The handle is covered with an imitated ray skin and wrapped of black cotton cord. Two metal Menukis decorade each side of the Tsuka. 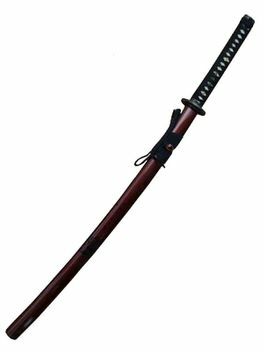 The scabbard is cunstructed from hard wood with a red lacqer finish. 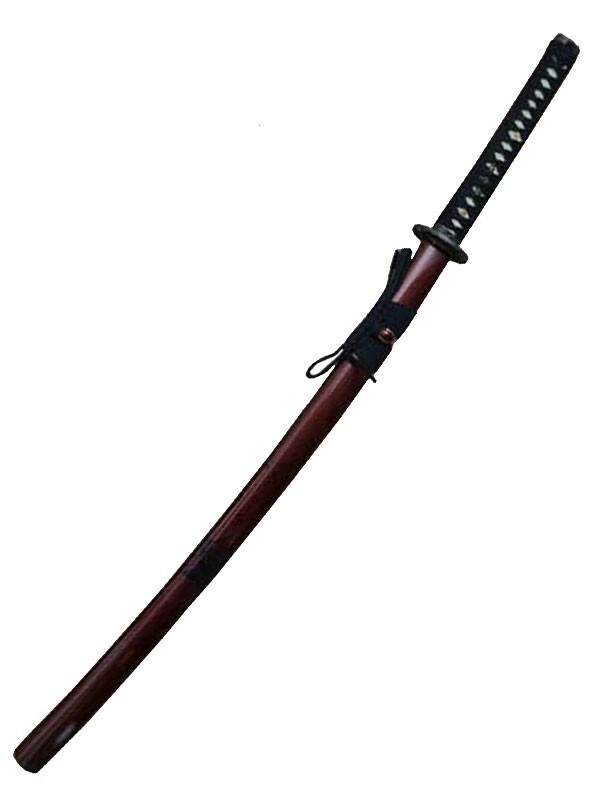 Delivery includes Katana, Saya and cotton sword bag.